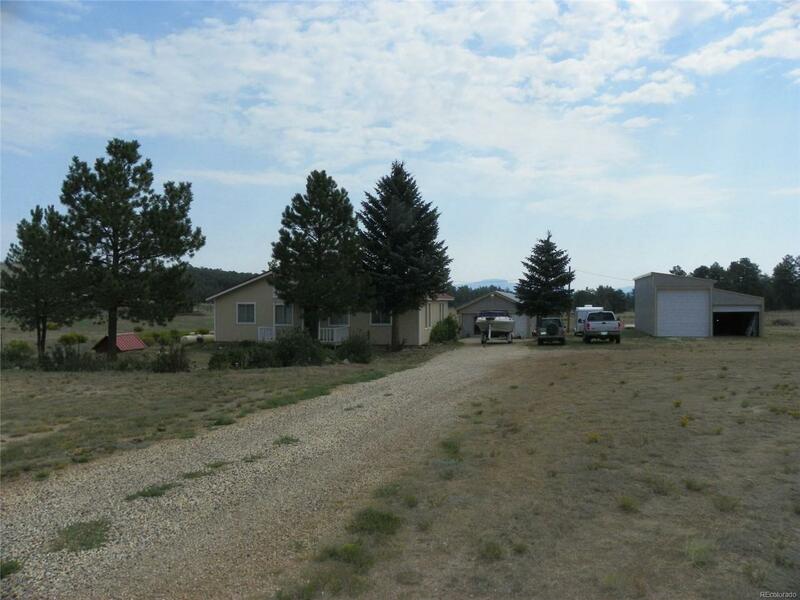 Well maintained, newly painted home easily accessed off of the main road in Colorado Acres. Spacious main floor with combination dining and family room adjoining a large living room with wood burning stove. You will be thrilled with the abundance of knotty pine kitchen cupboards and cabinets, large pantry and a counter bar. Roomy master bedroom with full master bath. Upper level has 2 bedrooms with a small balcony. There is a 9x16 enclosed sunroom with a wall heater that is not included in the square footage. Home and garages have metal roof covering, Numerous outbuildings including 45'x35' RV garage with a 12' door, a 24' shop with concrete floor, electric and 220 and an equipment shed which could be used as a carport. Nice fenced back yard with fenced in garden area and much, much more. This is a great property.